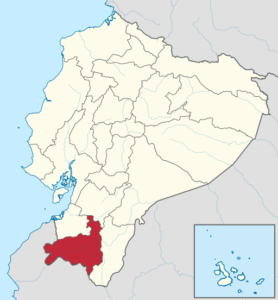 Investigators from Universidad Técnica Particular de Loja, the University of Florida, Universidad Rey Juan Carlos, and Universidad Autónoma de Madrid conducted an ethnobotanical study to catalog medicinal plants sold at traditional markets in southern Ecuador’s Loja Province. The team interviewed 196 vendors at 33 traditional markets in the largest sample of Ecuadorian medicinal-plant market vendors to date. The study registered 160 medicinal plant species sold to treat a variety of ailments. 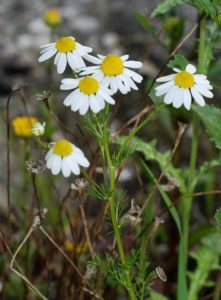 Two species were particularly important: Matricaria recutita and Gaiadendrum punctatum, used to treat digestive and respiratory systems ailments. Other important species included Ruta graveolens, Melissa officinalis, Equisetum bogotense, Amaranthus hybridus, and Viola tricolor. “For future efforts, it should be important to focus on correlating the values of FL [fidelity level] and FIC [factor of informant consensus] with the incidence of local ailments, as this will be useful to establish public health policies related with the trade of medicinal plant species. This initiative will be effective to support traditional medicine and its therapeutic repertoire. The first step will be to choose the medicinal plant species with widespread and consistent medicinal use in southern Ecuador and to study their therapeutical applications with physicians and scientists, primarily to identify bioactive compounds.